The hats have been massively updated: they are now compatible with aWt's hat control sliders, files have been redone to reduce their size (drastically) and no more glitches where sims disappear when you put the hat on in CAS. Please redownload! So I present to you an accessory snap-back cap for your sims. 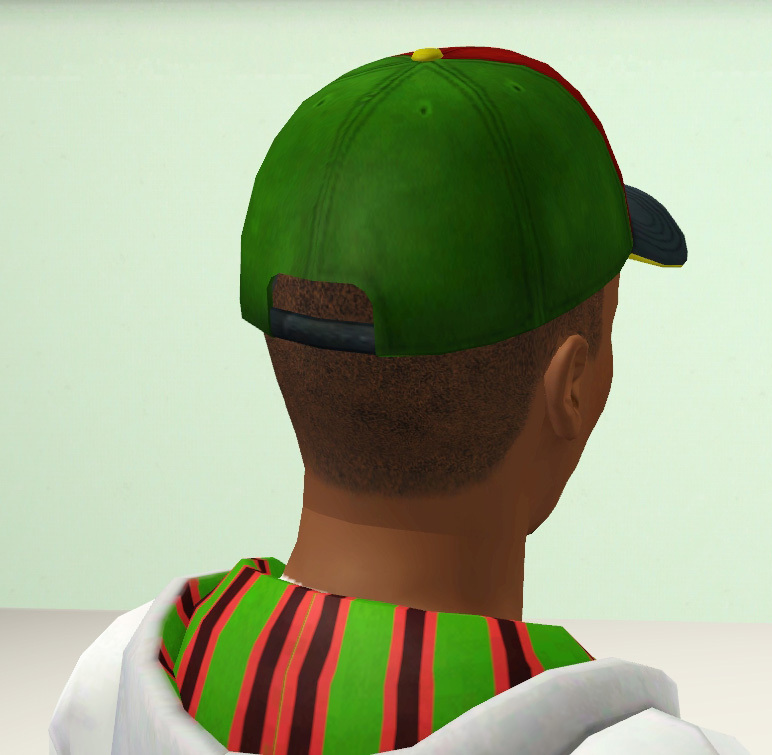 I made these hats because EA gave us a poor selection of baseball cap hairs. The backwards cap is so 90's! The sideways cap paired with a sweatband is so new millennium - and tacky! 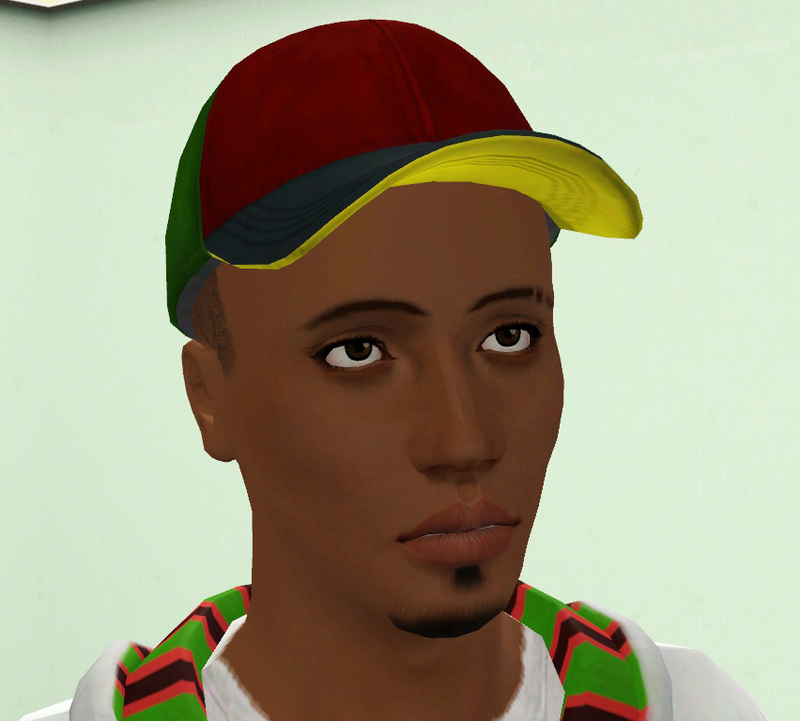 And, the only decent hat has hair attached to it, so it doesn't work for sims with shaved heads. My caps are accessories that are tailored specifically for the EA short afro hair. However, they are compatible with aWT's slider hack! The hats have four recolorable channels: front panel, back panel, top of the bill and the underside. They are found in the socks category under accessories for males and females, teen through elder. They are enabled for every category EXCEPT naked. -Both male and female sims share the same file. 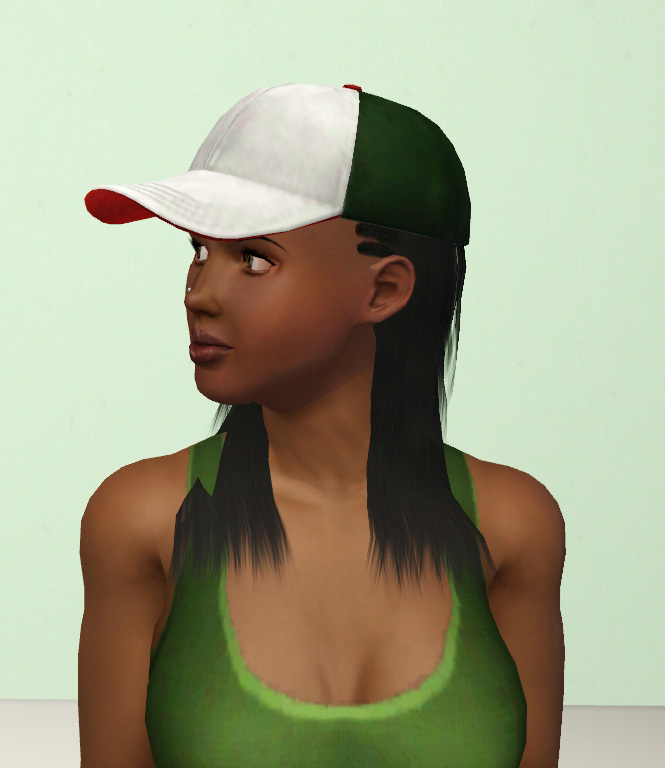 However, with female sims, you'll have to use the hat sliders to adjust the hats accordingly. Thanks to Leesester for the mesh mirroring help. Thanks Dal - hats are always handy. This is another excellent accessory. Very Nice!